(L-R): Mary Aufdemberg, Brian Gildea and Richard Saward at the 2015 NTEA Work Truck Show for the lauch of HWC program. Exactly one year ago at the NTEA Work Truck Show, Freightliner announced a recognition program called Freightliner Trucks Hardest Working Cities to honor communities leading the way in innovation and municipal growth. A year later, the company will commemorate the program's one-year anniversary in Indianapolis, the city that was first honored. A special video featuring footage from the 2015 Hardest Working Cities events along with one of the robust, 23-lb. 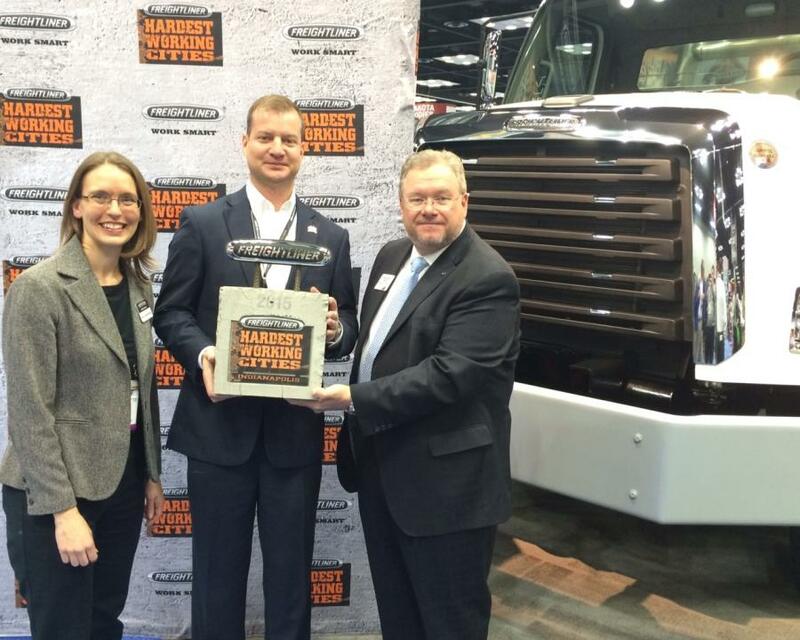 concrete Hardest Working Cities trophies was featured at the Work Truck Show. Indianapolis was the first city to receive the “Hardest Working Cities” award with five additional cities receiving the title later that year: Dallas, Los Angeles, Nashville, Salt Lake City and Toronto. 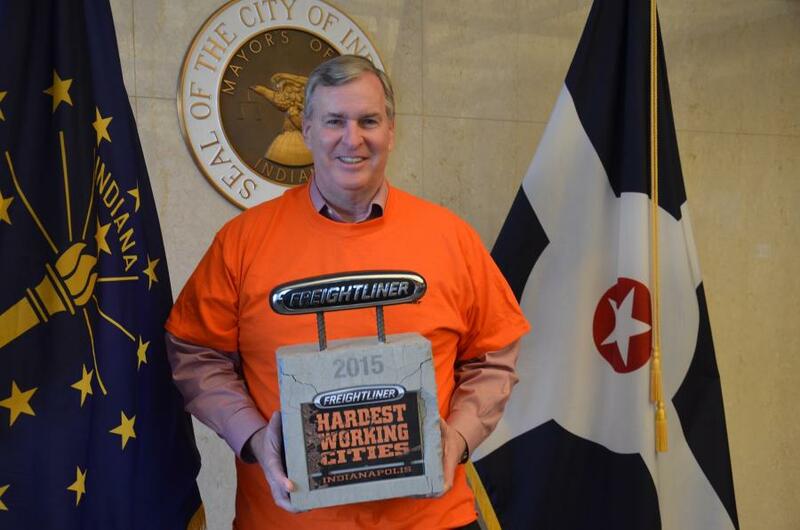 In each city, Freightliner coordinated an award presentation to city representatives and identified major work sites in the area to surprise workers with a well-deserved break that included free food and Hardest Working Cities gear. To date, Freightliner has visited 12 work sites and thanked about 800 workers across six cities. After a successful first year for the recognition program, the company announced four new cities will be recognized in 2016. The award winners for this year will be: New York City, Charlotte, Edmonton and Seattle-Tacoma.